Ran one position ahead of Maldonado for most of the race until Pastor spun out and Bottas finished ahead of the Caterhams and Marussias. Good debut. 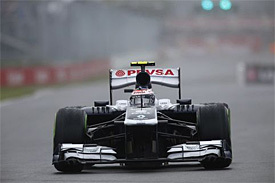 Maldonado retired with a KERS problem after making an error in the early wet conditions, generally better pace. Bottas damaged his wing on the way to the grid, ran wide racing Van Der Garde at the start, dropped to last before the track dried, and finished ahead of Gutierrez, the Caterhams and Marussias. Error prone, but decent result. Swapped strategies saw Maldonado lead Bottas throughout until the penultimate lap where Bottas overtook Pastor at the hairpin on softer tyres. Beat Pastor, the Marussias and Caterhams. Very good race beating his teammate in a clean race. Same strategy as China, starting Bottas on hards, Maldonado on softs, Pastor overtook Bottas at the start and promptly left Bottas trailing. Hulkenberg and Sutil finished between them, with Bottas beating Gutierrez, Massa, the Marussias and Caterhams, 15 seconds behind Pastor. Not bad- but not as good as his teammate. Same strategy again- starting on hards, 3 stops to Pastor’s 4, lost out to Maldonado, Gutierrez and Van Der Garde at the start, before eventually, sluggishly passing VDG on lap 16, finishing a long way behind Maldonado with Hulkenberg between, despite a drive through for Pastor, and ahead of the Caterhams and Marussias. Poor. Good start-passed Grosjean and Riccardo whilst Maldonado suffered damage before being wiped out by a Marussia, bringing out the red flag. Bottas came close to points, but unable to overtake Hulkenberg before being overtaken by Sutil, beating Gutierrez and the usual suspects. Strong effort for his first race at Monaco. Superb Qualifying effort. Lost out to Rosberg, Webber, Alonso at start, totally outperformed by the cars around him, but. still, raced hard, defended resolutely, and finished ahead of Ricciardo, a long way clear of Maldonado and the usual suspects. Great weekend: didn’t put a wheel wrong. Lost out to Gutierrez at the start, finished the race 4 seconds behind Maldonado, just beating Button and Gutierrez, and the usual suspects. Good pace, lost to teammate in race mainly due to his recurring poor starts. Both started on the harder tyres, Bottas lost out to Maldonado and Van Der Garde at the start, he cleared VDG when he pitted on lap 5. Both lost out in the pits. Finished 7 seconds behind Pastor, ahead of the usuals. Again, lost out to Gutierrez, Di Resta and Van Der Garde off the line before repassing VDG the following lap. Suffered a hydraulic failure running a long way back from Pastor with Di Resta/Hülkenberg/both Toro Rosso’s between them. Pastor went on to score Williams’ first point. A very mediocre showing by Bottas. Recovering from a rain affected qualifying, Bottas passed both Marussias, lost out to EG, before clearing VDG by lap 5. Cleared Maldonado mid-race after Pastor was penalised for colliding with a Force India. Beat Pastor and the usuals. Decent showing- ahead of Pastor thanks to his team-mates’ indiscretion. A quiet race, finished 8 seconds down on Maldonado, ahead of the usuals. Nothing special. Lost out to VDG off the line with a clutch problem, spent most of the race behind him. Finished 17 seconds down on Pastor, with Gutierrez between them, but ahead of Vergne and the usuals. Mediocre potential relative to Maldonado- the car had more potential than Bottas was able to extract- outqualified Maldonado only due to Pastor fluffing it. Eye-raising consistently good speed in qualifying, the rookie was putting “qualifying expert” Maldonado under increasing pressure. Lost out to VDG AGAIN at the start, but passed him on lap 3. Ran close with Maldonado, getting ahead after Maldonado was forced wide by Gutierrez and finished 3 seconds ahead, perhaps slightly fortuitiously, but good speed to be in a position to take advantage. Excellent qualifying in first trip to Japan at a tough track- very encouraging sign. A decent start, raced ahead of Pastor throughout, closely shadowed by Paul Di Resta who slotted between the two Williams’ drivers until he got ahead in the stops. 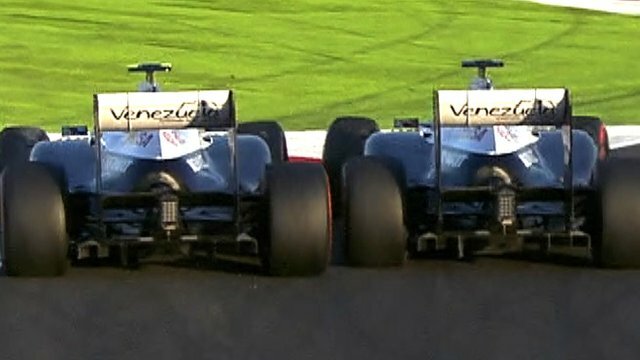 As Perez cleared them both at the end of the race, Maldonado dived up the inside on the final corner, forcing Bottas wide and stealing the position. Relations soured between the two: it was an aggressive move, but arguably, Bottas had been caught napping having put one over on Pastor most of the weekend before letting it slip at the very end. Beginning to take control on a Saturday, yet losing out once again during the race. Split strategies, started on hards again, Lost out to Grosjean, Gutierrez, Maldonado at the start, Finished with Vergne, Button, Gutierrez between them, a long way back, complaining of traffic. Poor race- outpsyching Pastor on Saturday, but not proving consistently fast enough during races. At least 2 of his 4 “race victories” over Pastor were not due to superior speed. Same split strategy as ever, Dreadful start: Lost out to Gutierrez, Sutil, Pic, VDG at the start, cleared VDG after he pitted on lap 8. finished 25 seconds down from Pastor, split by the Saubers and Button, ahead of the Toro Rosso’s and the usuals. Pipped in qualifying, destroyed in the race. Mega in qualifying after Williams reverted to a non-EBD configuration car, Pastor crashed at the start and simply wasn’t at the races, as Valterri’s effort was making him paranoid and saw his Williams relationship go into meltdown. Bottas got a good start for once- passing Heikki. Good overtake on Gutierrez after the stops. Impeccable, fast, measured drive. Vastly improved pace. Great race. Good start, steadily caught and passed by Pastor in the race as struggled on harder tyres- as ever. A soft touch racing against the others around him, criticised by DC for not allowing his natural instincts to come through whilst racing- for being too tentative. Shoved out of the race by Hamilton. Great start to the weekend, fizzled out. Winning 2.0 Formula Renault, the Formula 3 euroseries, and GP3, Bottas, managed by Toto Wolff- member on the Williams board and shareholder, decided to skip GP2 for 2012 and was appointed Williams’ third driver, competing in 15 friday practice sessions during 2012. His efforts relative to Maldonado impressed the team enough to promote Bottas to a race seat for 2013, replacing Bruno Senna. Bottas brought with him sponsorship from Finland, though perhaps not quite as much sponsorship as Bruno had brought, making Valtteri’s appointment a strong vote of confidence from the Williams team, and from his manager, Toto- the then CEO. Big things were expected. The FW35 was probably the least competitive car Williams have ever produced. During a period where performance was dominated by how effectively teams were able to direct hot exhaust gasses onto the diffuser, Williams struggled to master the coander effect which was an innovation that attempted to overcome the changes the FIA made to the regulations which were intended to prevent this from being possible. 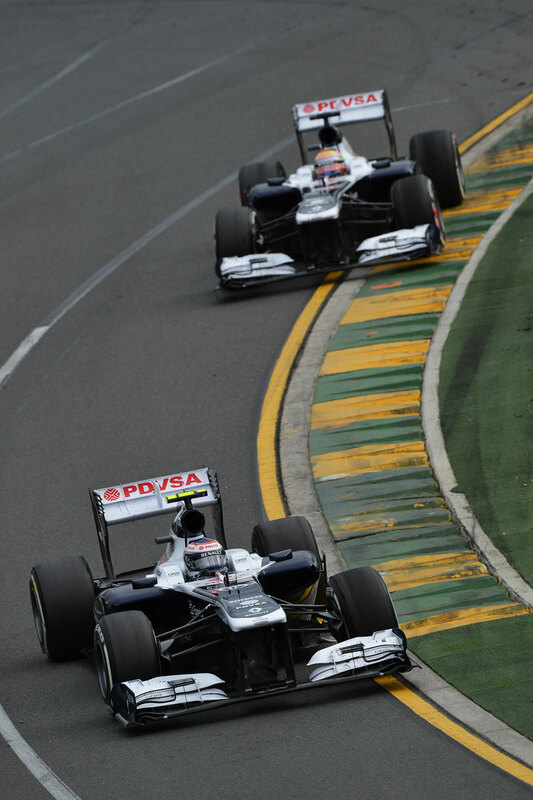 Williams failed to master this effect which resulted in nervous, unpredictable handling. Compounding the issue, Williams’ intended solution, including a bridge over the exhaust pipe exit was deemed illegal by the FIA, leaving the team all at sea. Consistently the 9th fastest team, they would regularly fail to make it through to Q2, and usually finished bottom of the group when they did. They fared little better in the races. Technical Director Mike Coughlan consequently resigned, making way for Pat Symond’s arrival. By the time of the USA GP, new technical director Pat Symonds requested that the system be dropped, which resulted in a significant improvement in performance on Bottas’ side, but too late to make any difference to their constructors’ position. Suffering only 2 DNF’s all year, neither of which were his fault, Bottas demonstrated the kind of approach Neve adopted when faced with an uncompetitive car- Priority 1; don’t waste money crashing- live to fight another day, or indeed, another season. He saw the chequered flag on 17 occasions. Not bad for a rookie! Another wet session, Bottas again demonstrated his great talent in such driving conditions, dominating Maldonado and outperforming his equipment to be the stand-out performer of qualifying, beating Rosberg’s Mercedes, Webber’s RedBull, Alonso’s Ferrari and both McLarens. As this was his first opportunity racing near the front, Bottas raced with a lot of maturity and composure, defending robustly but fairly in a car that was far less competitive than those around him. In one incident, he left room for Sutil who was making a move up the inside, but continued to fight, resulting in Sutil losing control of his car as he failed to execute the move. He steadily dropped to 14th in the dry on account of the car’s lack of pace, but still finished ahead of team-mate Maldonado. having removed the Coander exhausts, Bottas fully exploited the changed car dynamics with a stellar 9th place- the best qualifying for either driver in the dry all season. Pastor was nowhere to be seen, to the extent that the rattled outgoing Venezuelan started accusing the Williams team of tampering with his tyre pressures. Given his first opportunity to score points for Williams and consolidate 9th place in the championship, Bottas delivered. He got a good start, and ran at a very strong pace early on before managing his tyres to finish a strong 8th- Williams’ best result of the year by a long way, beating the Mercedes of Rosberg, Massa, and Kovalainen amongst others. He totally dominated Maldonado who suffered a crash on lap one. The race also included a strong overtaking move on Gutierrez- some good feisty professional racing which got me out of my seat. Bravo! The best part about this move was the pressure he was under at the time- Gutierrez was costing him time to Rosberg, it was late in the season, and this was his first (and as it turned out, only) chance of points. His relief after the race was palpable. How often did we see Van Der Garde racing ahead of Bottas at the start? Hungary, Germany, Singapore, Abu Dhabi, Korea, Spain; Bottas regularly finished behind Maldonado in the races, aided in no way by this issue. Tyres played a large part- the team were resolute in starting Bottas on the harder tyres and splitting tyre strategy with Maldonado, but the difference couldn’t have been entirely explained by tyre performance alone- occasionally they would start on the same tyres only for the same scenario to play out, as Maldonado’s starts were electric all year. He started well once- when it counted- at the USA. He took a circumspect approach to racing in 2013, but perhaps left him a little too risk averse. Took a long time to get past Van Der Garde on several occasions, often waiting until the stops, he was criticised by DC after he was passed by several cars in quick succession in Brazil offering little resistance, and took his sweet time on Gutierrez in the USA. Leaving the door open for Pastor to mug him in Japan was perhaps a little dopey with hindsight too. Never the less, Bottas CAN race- he defended hard and resolutely in Canada, and pulled of a very assertive move on Gutierrez in the USA once he finally decided to commit. Perhaps his overall approach to his debut season explained this trait, or perhaps he was deliberately trying to counter-balance his drongo of a teammate? Either way, I’m not sure either of them consistently struck quite the right balance. As a current driver, trying to summarise his role with Williams feels premature, and obviously, his position on the list will be fluid. The sum of his efforts were modest- a top 3 in qualifying in Canada, a top 10 qualifying and race effort in the USA GP, and a consistently strong effort vs his teammate in qualifying, otherwise, he was mostly plugging away at the back of the midfield. Ultimately, the car was a washout, severely limiting Bottas potential contribution. Such was the gulf in performance both ahead and behind, that removing either Bottas or Maldonado from the picture in 2013 would make absolutely no difference to Williams final standings in 9th as both recorded points. But despite all this, Bottas played his role responsibly, and consistently. 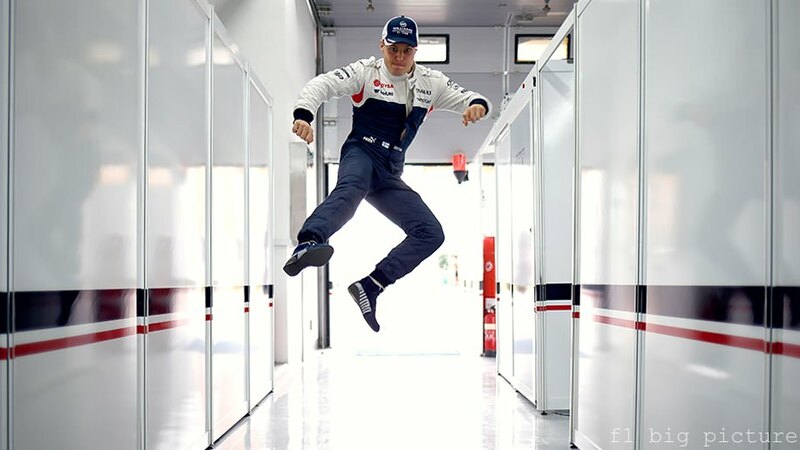 He remained upbeat and supportive of the team in public, and when opportunities were presented to make a difference, it was surprisingly Bottas, and not Maldonado who rose to the occasion. In his rookie season, he impressed many with his performances relative to Maldonado, and regularly shone in the wet. For his efforts he was retained by the team for 2014. It should also be noted that he is the first of our reviewed drivers to actually score world championship points for Williams. With the car he was given, that was no mean feat from a driver far greater than the sum of his results.